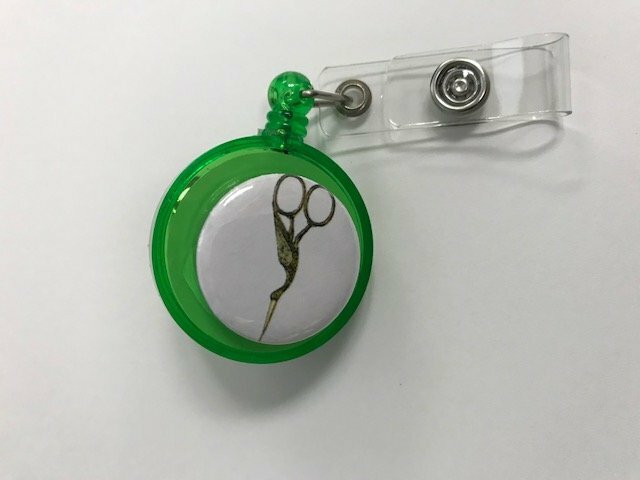 Retractable Reel Holder with Stork Scissor Motif. Snap one end of the reel to your scissors and the other end to your shirt or the front of your machine. The retractable line keeps the scissors handy and they'll never stray.